Another beautifully simple creation by Marina Rinaldi. We love this cotton jersey tunic with open round neck and a check design broderie anglaise hem. 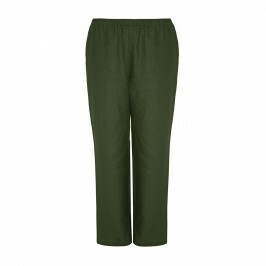 Wear with the Marina Rinaldi dark green linen trouser and flats for a laid down weekend look. Open neck cotton jersey tunic with broderie anglaise hem. 100% Cotton. Hand Wash or Dry Clean.